1) Sellers stripped foreclosure home’s assets and / or vandalized the property. 2) Bank refused to accept less than its present mortgage balance. 3) Buyers passed by the short sale in favor of a hassle-free purchase. 4) Location of the home and / or neighborhood was undesirable. 5) Listing was overpriced at mortgaged amount. 6) Seller did not qualify for a short sale. 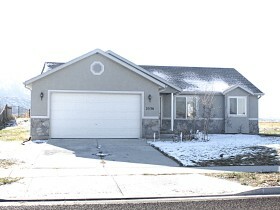 The best bargains in Spanish Fork, Utah are the bank foreclosures. Team Teasdale Realty is located in Spanish Fork and Mapleton Utah. Would like to search bank foreclosures throughout Utah County? Remarks: Nice home in a great neighborhood. Beautiful mtn views, close to schools. Basement FR nearly finished, just needs moldings & carpet. Large yard, great for kids. Pre-qual letter required w/ all offers. Seller "as is" addendum required w/ accepted offer.